While Samsung currently has its plate full due to the issues plaguing the Galaxy Note 7 as well as some of its handsets, it isn't stopping the South Korean tech giant from announcing new products to add into its wealthy portfolio of mobile devices. With that said, Samsung has just announced the 2016 edition of the Galaxy On7 for everyone looking to get an upgrade from last year's model. 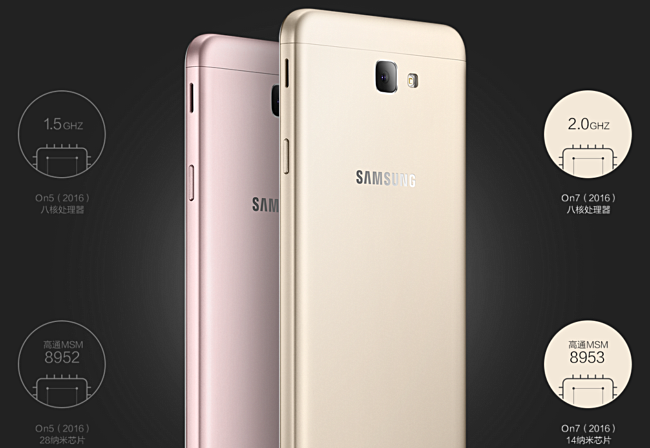 The Samsung Galaxy On7 (2016) is equipped with a Qualcomm Snapdragon 625 chipset that comes with a 2 GHz octa core CPU that's paired with 3GB of RAM. It also features a 5.5-inch TFT display with Full HD resolution. On the other hand, the internal storage is at 32GB, which can also be expanded up to 256GB. As far as the photography performance goes, the Galaxy On7 (2016) features a 13MP primary shooter with an LED flash as well as an 8MP front-facing selfie shooter. It will also come with 3,300mAh of battery, and it runs on Android Marshmallow. If you're interested in buying one, the handset will set you back for around $240, or around Php11,500 before taxes and duties in the Philippines. However, local availability remains to be yet announced.